Babolat first started making tennis rackets in 1994 which eventually became among the best in the world. Babolat is the best in spin technology and introduced its aero range in 2003 to assist players to maximize their spin. Babolat Pure Aero is a makeover to the Babolat AeroPro Drive. The Pure Aero boasts a more aerodynamic beam using a higher swing weight. The racquet trades more maneuverability together with stability, plow-through, and relaxation. The Babolat Pure Aero comes with FSI Spin technology and the racquet features wider spacing between the crosses for increased spin. It also has enlarged grommet holes, allowing the strings to absorb more vibration and snap the ball out of the stringbed with additional RPMs. The racquet becomes steadier through impact and produces a great blend of speed and spin on full swings. The combination of twist and spin make it a really powerful racquet. The additional power through the strings is a nice bonus. Babolat, the inventor of natural gut strings, is continuously innovating, pushing the limits and driving technological advancements. Strings are a rackets Lifeline and Babolat provides one of the best racket strings as they are the world’s first racket string makers so you can expect the best strings from them. Babolat designs and manufactures high-performance strings adapted to the needs of all players: from local clubs to world champions. This ongoing quest to innovate, in cooperation with the Team players, empowers Babolat to create increasingly impressive products. Babolat Tennis Racquets are used by many international tennis pros such as Rafael Nadal, Jo-Wilfried Tsonga, and Julien Benneteau. These players use the best of the best and thus are at the top of their game. The latest strategy of attaches for some, and protection for others, spin has become an absolute must for contemporary tennis players. Following the example set Rafael Nadal, some players have made it an integral part of their match’s DNA, a fundamental component of the design and their best card. 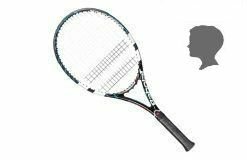 Launched in 2003, the Aeropro Drive quickly became the standard for gamers who want a racquet that offers optimum spin and power. In 2015, Babolat took things a step further using the Pure Aero: A new generation racquet that allows players to maximize their spin without losing any of the punch in their swing. The Pure Aero series is a very impressive series as they are heavy rackets and provide excellent stability along with improved comfort which makes it really powerful and steady. The wide string bed makes it possible for the player to hit very powerful shots with relative ease. The Aeromodular2 frame shape is made to provide better swing speed. This is sometimes tough for the player as the ball can fly and take off while missing their target. Combined with Babolat RPM Blast the Pure Aero Tennis racket gives the best speed and performance to suit the player’s needs. The racket helps player while serving the ball and gives better power and spin. Babolat Pure Aero Racket is newly designed with a few changes to make it more stable and provide a better feel to the player. An aerodynamic frame helps to maneuver the racket with ease and play the most difficult shots with ease and excellent force to it. The FSI Spin Technology makes it easier for the player to create lift. This racket is suited for those players who want more power and spin over comfort. 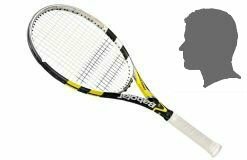 1) Increased Racket Head Speed – The power can be controlled as the head of the racket is bigger than the average rackets which provide a greater sweet spot. The faster the racket, the better the spin of the ball. 2) Longer String and Ball contact – The longer the ball is in contact with the racket, the better swing it produces.